Of Fred’s 3 random games he has to cover this month, one was a sports game that apparently was the best hockey game on the PS2. NHL 2002, developed and published by EA, touts funny announcers, crazy gameplay mechanics, and some of the smoothest action for the generation. Fred gives it an initial go and if nothing else, exploits the unbalanced nature of the AI on both sides of the difficulty spectrum. More coverage and a review to follow, but here’s the initial 30 minutes and it ends with a Sum41 song, woo hoo game license cross-promotion! 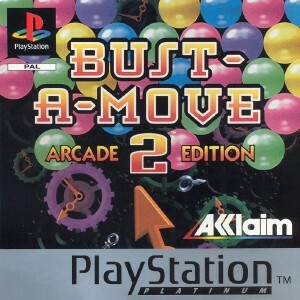 Bust a Move 2 Arcade Edition was a popular title released on the Sony Playstation, Sega Saturn and N64. While the concentration of these systems was to move gaming into 3D, Bust a Move was a game that kept its feet firmly in the 2D realm, and it still does to this day. All versions are ports of the very popular arcade game and all versions are arguably fantastic ports, bringing that vintage arcade experience home. For this review I’ll specifically be covering the Playstation version. I have always enjoyed the Bust a Move series. I have played the majority of the entries on home consoles and arcades. The most memorable game from my younger days was Bust a Move 2. This was literally in every arcade in my area. It ran on Taito’s F3 hardware and could be found in dedicated arcade cabinets and later the Neo Geo cabinets which were becoming increasingly popular. Bust a Move 2 was one of those arcade game where I would literally watch the demo screen over and over again even after I ran out of money to sink into the cabinet. There was something rather hypnotic about watching, maybe because I have always had a fascination with arcade puzzle titles, or maybe its because I’m a utter fan boy for Taito games, especially the Bubble Bobble games of which this series is a spin off from. 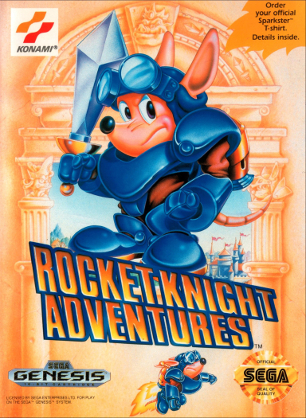 Rocket Knight Adventures came out during the apex of Genesis/Mega Drive game design. Developed by Konami with roots in the Contra franchise, this cute possum with armor and a jet pack was a charming action platformer. Unfortunately given main character Sparkster’s mascot status and the trends on consoles at the time, this is probably one of the best games you’ve never played. Join Fred and Jam on a journey through a true Sega classic. 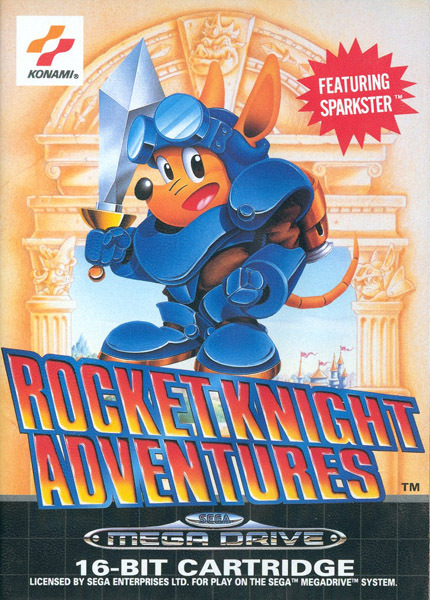 Rocket Knight Adventures is one of those games that you’ve probably heard of but never played. Those that did play it generally spoke very highly of the experience and I found most other people say, “yeah, I really need to get round to trying that.” Now I personally have a lot of nostalgia for this game. This was one of the very few games I received for my birthday that was to my knowledge brand new. But more importantly a game for me and not my brothers. I had no idea what to expect when I unwrapped this game. But I immediately popped the game into my Mega Drive, heard that sweet Konami tune and lets just say things just got better and better from there. Now this is our game club for April and its time to revisit and see if it’s just as great as I remember or if it was one of those titles that looked better through my younger gamer eyes. Now for a game console that’s relatively rare and worth some money itself in this country. In fact, most of the games on this list are worth less than a complete copy of the console itself. If you don’t have a heavy collection, have a power base converter, or even own a Game Gear, you may want to consider moving this product to collectors for some extra cash. That said, if you live in Europe, there is a massive library of available titles for this great system. This month we have been tasked with covering three games and Jam was the first into the gate with his Playstation 1 reflection of Bust-A-Move 2. 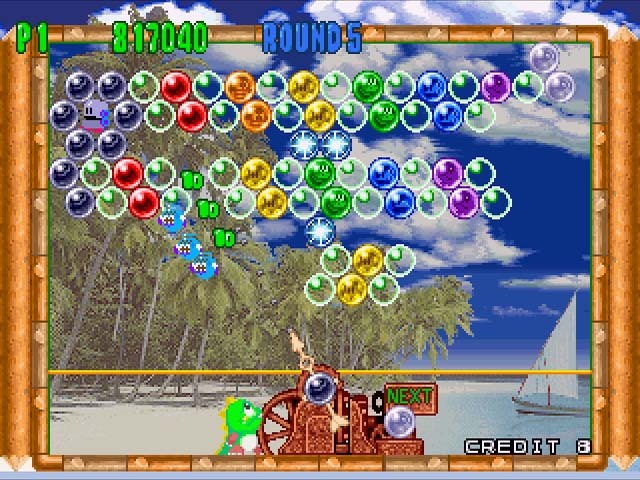 The follow-up to the original game, better known as Puzzle Bobble in arcades, this was one of the many instances where home console ports began to catch up with and properly port over the arcade experience. Jam and his special guest delve into their reflections on this classic cooperative puzzle game. Everything is Better in 3D!!! Right?!? Sonic 2 is practically available anywhere, I just won’t be buying that game again (unless it comes to my fridge, maybe). Streets of Rage 2 is one of my favourite games of all time so I’m probably sold there but the one that I’m really keen on is Gunstar Heroes. I really don’t give a crap about the 3D but the thought of having a classic game like that on a portable sounds very tempting. The price is believed to be about £4.49 (approx $6 US) for each game which is fair. So there you go, more Sega goodness coming to the portable in 3D! Will you be buying into this? Will you be “that person”? Let’s hope this trend continues and we continue to see more classic games coming to the eShop on 3DS, with or without 3D. Lets also hope someone finally ports Doom to my damn microwave keypad already. This weekend I was allowed to see an advance screening of an upcoming summer movie. I did tweet what the film was prior to going to view it, but when I got there a very specific NDA (non-disclosure agreement) has me not wanting to give any more information. There still is a point to this post, I assure you. The thing about NDA’s, for example, is that they are vague and pretty much don’t want you talking about anything, but yet I often feel compelled to follow them provided certain circumstances. I was not brought in to see this movie because of this site or any affiliation, in fact I’m betting the production company doesn’t know or care that this post exists provided I leak no information on what I saw, including the title of the film or my opinion. I also want to point out that while this site does receive review copies of games from time to time, there is no connection between this film and games directly and thus there’s no fear of retaliation associated with my compliance. 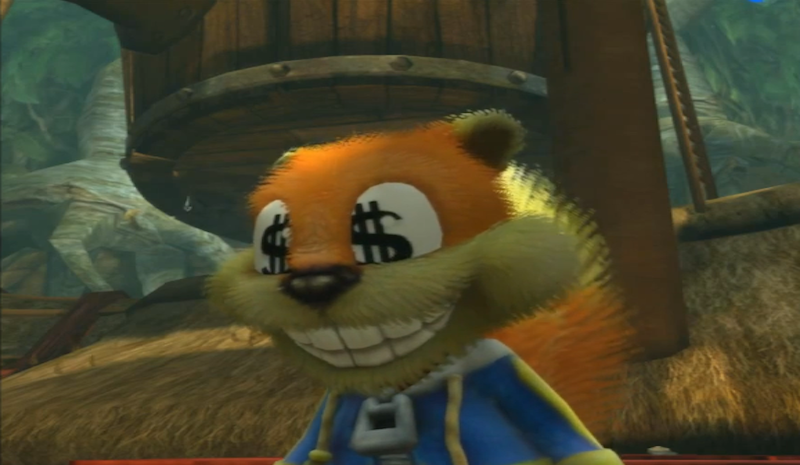 While quite rare on the Internet, I intend to respect the NDA because it’s the right thing to do. Rest assured I am writing the review while the film is fresh in my mind and it will release when I get the permission to do so.